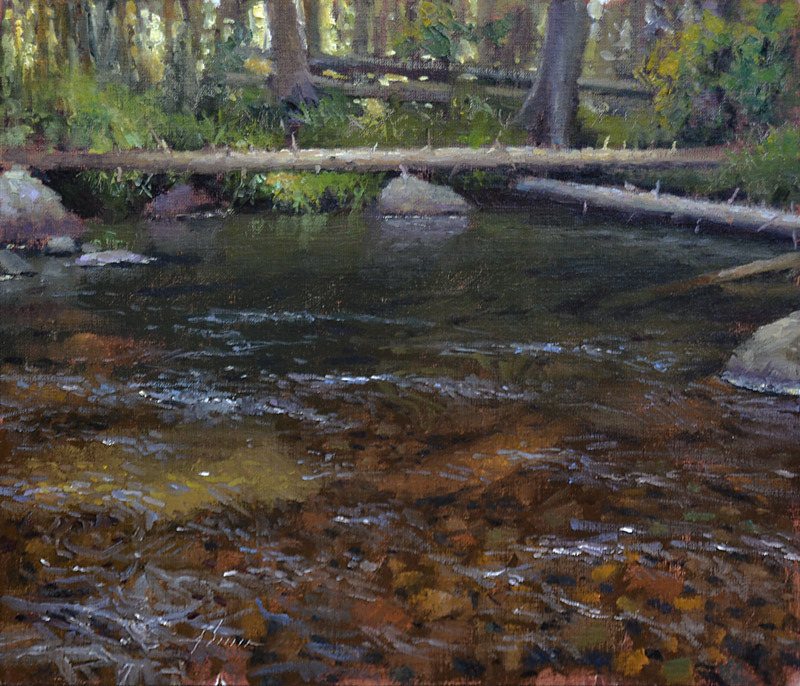 When I think of Jason Sacran and his good buddy, John Lasater, I think of two plein air painters who enter tons of plein air competitions and always drive away with a car load of awards. I jokingly advise any artist to stay home if they’re even remotely considering entering an event in which these guys are going to participate…or if you do compete, don’t expect anything more than scrapes after they’ve picked the bones clean. I’m kidding of course, but if you were to look at Sacran’s success rate in 2013 alone, you would discover that he won over 30 awards and could possibly hit that number again this year. The guy is a hard working painting machine and I am honored that he agreed to this interview. How he manages to do all that he does is beyond me. Sack-run, Sack-ran, Sa-cran, or Sa-cron…which one is it? Suh-krahn (like the name Ron)…the only thing it rhymes with is Pecan. I’m very intrigued by your nationality. Tell us about that and your upbringing. I was brought up in a bi-cultural home. My mother was born and raised in Tennessee, and my father is originally from Israel. My paternal grandfather moved his family to the states when my father was just eight years old. As a child, my Teta (Teta means grandmother in Arabic) would keep me while my parents were at work. She did not speak much English, so I spoke both Arabic and English until I started school. I don’t really know much Arabic anymore, but I still appreciate the culture…and the food. In a video in which you are featured, you seem to suggest that in your younger years you were a wandering soul. What changed that for you? Well, I was more restless, irresponsible and had big dreams. One day I woke up and realized that I wanted more stability, so I began focusing on what I thought I did want. I guess a lot of us go through this in some ways- especially in our youth. But some of the best things in the world have happened to me along the way – like my incredible wife, Rebekah, and our four daughters, Elaina, Claire, Eily, and Nora. They help keep me grounded, I am sure. I would have to say my faith as well. I believe that the Lord has helped guide me along. How did you discover art as your profession and passion…and how did you know it was the direction you were to go? As a passion: I have always loved making or creating things. Like most children I would draw a lot and would make things, like building sets and weapons for my action figures (and for myself). I was very young when I first discovered that I had a “passion” for “art” and knew I wanted to become an artist when I got older. Professionally, it was another thing entirely. Up until the day that I graduated from college, I thought getting my diploma would just make everything fall into place. That was so far from the truth. In fact, I don’t feel like I began the real quest for my career until after I had graduated from college. I quickly realized my weaknesses, and began a self-study and search for how I could make this happen for myself. I remember Rebekah’s surprise at what I did not know, and I had a degree in art. Don’t get me wrong, the school I went to was a good school and had a good art program, it was just mainly my fault for not soaking in more while I was there. But there are some things that experience and real life can only give that school simply cannot provide. I have been very blessed to have things happen for me too, like gallery representation, and job opportunities that gave me connections, etc. Making the transition to full-time artist/painter was one of the toughest decisions, but boy am I glad we did it. I say we, because my wife and family are in this with me. In fact it was my wife who was the biggest support and push for me to go full-time. I had a lot of full-time artist friends who gave us encouragement as well, and we thought maybe this could really work. One day, about five years ago, Rebekah asked me “So when do you think you’ll actually go full-time? You’re going to be thirty this coming year, then 40 before you know it and then 50 (and so on).” Then she said “Why don’t you just do it and go put your notice in at the museum?” So, I did. I still taught adjunct at the University of Arkansas – Fort Smith, and eventually quit there as well. It’s been nearly five years now since I quit the museum, and we have been fortunate to continually do well each year. So I guess, discovery came step by step. What were some of the challenges you had to face in establishing your career? How to actually make a living, how to get my work out in front of the right people, how to accept failure, defeat, rejection after rejection, and most importantly, how to balance my career with life. I am still struggling with that one. I believe sometimes I put my career above the more important things in life, like my family. That is something I will have to continually work at. One of your best friends is John Lasater, how has he influenced your career? For starters, John was a big encouragement to me when I took the leap to go full-time. 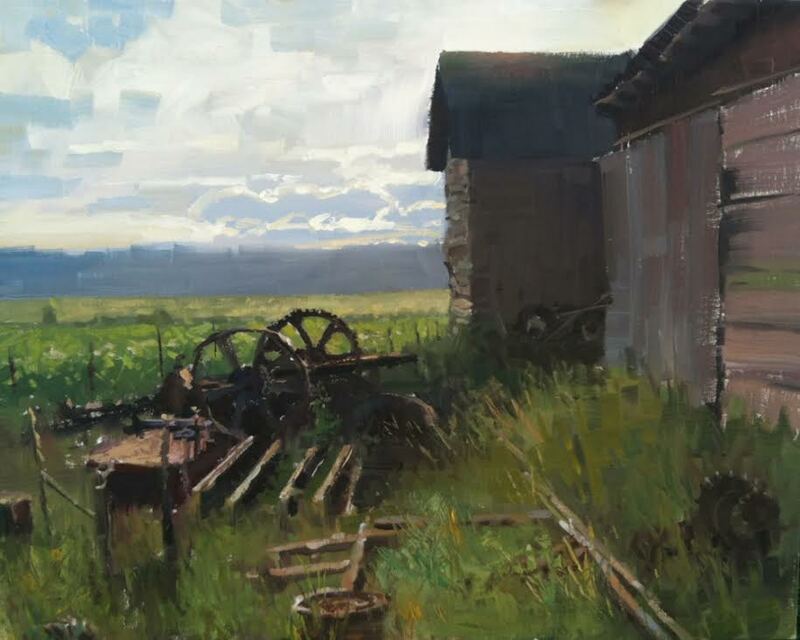 He was also one of the first to introduce me to serious plein air painting. But beyond that, John has been a true friend, a great influence, and a wonderful example to me. He is one of the best friends a person could ask for, not to mention he is an incredible painter, too. I believe we both help each other out, challenge one another and push each other to grow as artists as well as walking the right path. We are very kindred and have a lot of similarities such as we’re both trying to hack it out as artists, we both are married to incredible wives, we both have four beautiful children, and we both are believers. Sharing the Christian walk together really can make people close. He’s a heck of a guy for sure! 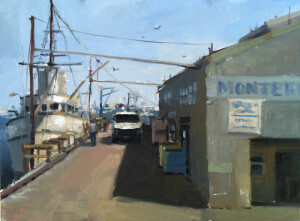 Like Lasater, you paint just about any subject that interests you. 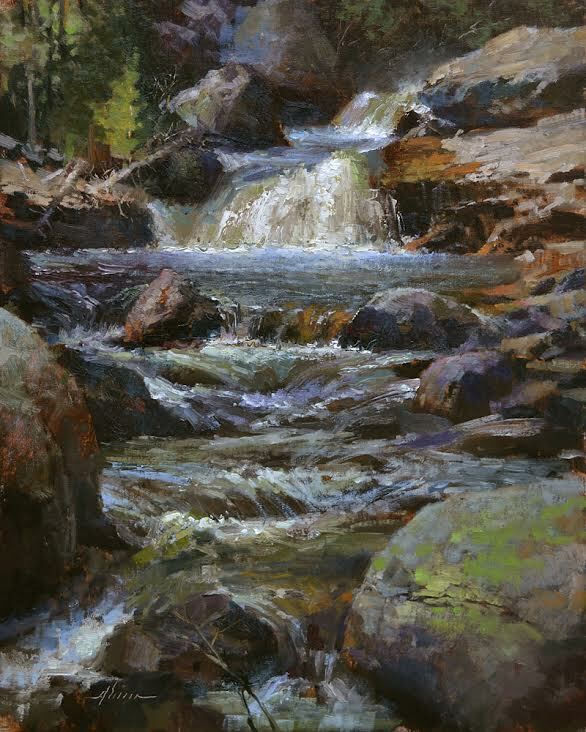 Do you primarily paint from life? I do like to paint a variety of subjects. 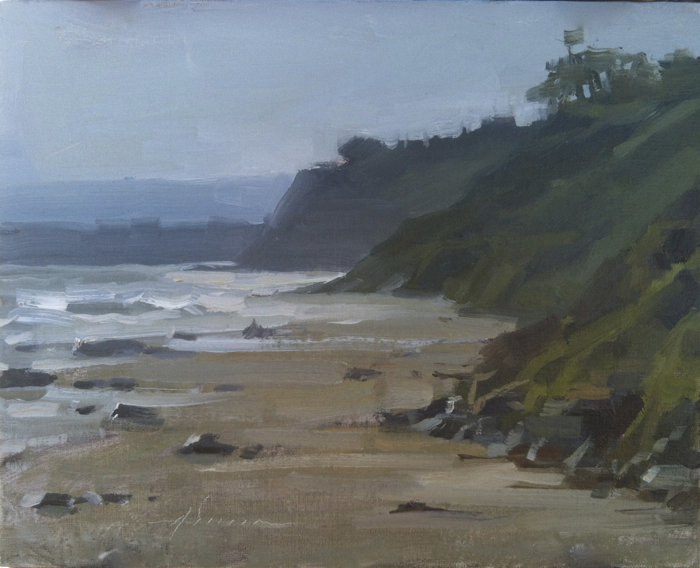 And although I would prefer to paint from life, as that option usually gives the most information and options, I am not opposed to painting from photo reference or even memory or imagination. Whatever gets the job done, I guess. To me it is not about “from life”, it is about making a painting. Is there really a bad way to achieve a painting? Well, maybe there is. But to answer your question, if the option to paint from life is available, that is the best way to go for me, and I would always choose that option. But I’m not opposed to other ways either. What do you hope to communicate through your work? Besides my passion and perception, I’m not really sure, maybe a sense of place, time or a moment. I gravitate towards subjects that speak of the day and time and even place that I live in and am around. I wish I could give some elaborate deep answer here, but I can’t. Do you think you’ve discovered your artistic focus? Is that even important? I have found several focuses. At one time it was people. 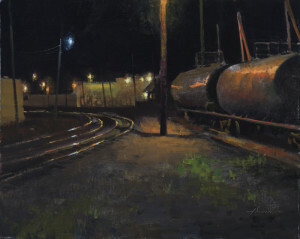 Some would say (now days) plein air or the nocturne is a focus of mine, and I would agree. But it is just one focus. I don’t think I would want a single artistic focus. I don’t think it’s important, at least not for me. 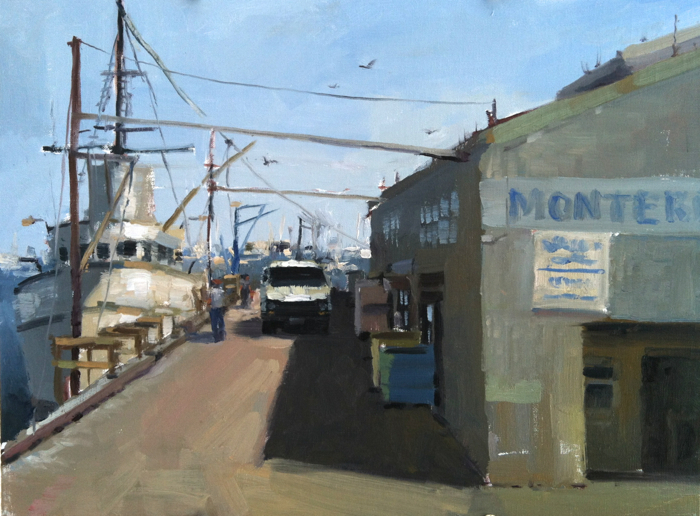 If I had to pick out a focus, I guess it would be representational painting. But, who knows, I may be doing something very different in the future, even though I will most likely stick to representational painting, because I am strongly drawn to it. I’d like to think I am keeping an open mind to subject, medium and focus. How would you define art? I have no idea! Art is in the eye of the beholder. I know that’s a cheap answer, but maybe it’s true. I think the word “art” can mean something to one and something else to another. I have heard people say that children are great artists, meaning they create great art. And others, who I consider great artists, wonder if they are actually creating art at all. The general public believes that their grandmother who started painting late in life, makes great “art.” And, then again, I have heard others be careful to call their paintings anything other than paintings…scared to call them works of art…and they do incredible work; deep, conceptual, perceptual and true to themselves. So, I don’t know…maybe it’s all of the above. I believe an artist’s job is to show the world what’s inside of them; their perceptions, views, expressions. To be true to what we want. Our vision. You’ve painted a series of self-portraits, what do they reveal about you? How much more hair I have lost since the last one. No, well besides that – I have been doing them for years. I started painting them in college mainly because it was a cheap and convenient way to have a model, but I ended up seeing value in doing them. They pointed out the changes that took place from year to year. Not just physical changes, but emotional and mental as well. Its funny how we perceive ourselves in youth. I have a lot of self-portraits from my earlier years; some I’d be embarrassed to show. Not just because of my ability, or lack there of, to paint, but because of the obvious vanity. These days my self-portraits are more honest and humble. 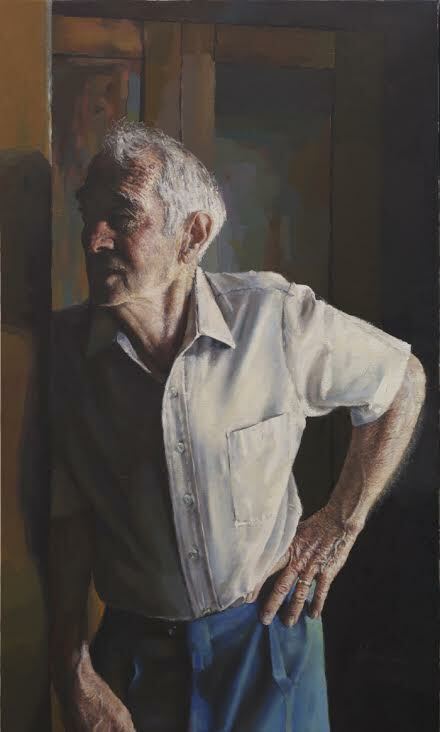 I paint the flaws (the balding hair, etc), the raw intense facial expressions and welcomed age, experience and emotional undertones. The struggles, anxieties, good times, etc…come out during the sessions. And, yes, they do reveal aging too. I try and do at least one every year, usually at the end or beginning of the year (December to January). This is usually a slower time, which allows me to be able to continue this tradition. It is a life documentary. 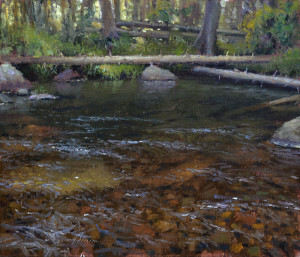 Is the process of painting more important to you than the result? I don’t think so. Maybe it is an equal deal there. I do love the process. I love planning/designing, composing, trying to figure out how to paint it, the block in, organizing shapes, thinking about edges, getting the values the way I think they should be, solving color issues, pushing design, sometimes breaking the “rules”, etc. But, as much as I’d love to say process, if I were to be completely honest with you, I would have to admit that I really want results too. What’s the most difficult part of painting for you? Probably turning it off – I never stop painting or planning. If I am not literally painting or planning, I am thinking about it in my head, all the time. I wish I could stop sometimes, and enjoy other things a little more. I am getting better at this…or at least better at acting like it. 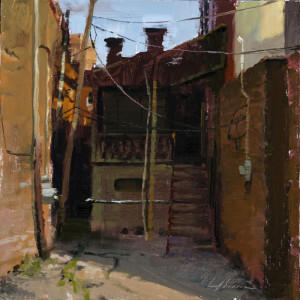 What are the motivating factors when choosing a subject to paint? Primarily, does it interest me in some way, whether it be shape, atmosphere, expression etc… Sometimes it’s something I am motivated to paint, and sometimes it’s something I feel motivated to try. I used to ask myself if it inspired me, until one day I realized that inspiration was too rare to cling on to. In fact, I am so rarely inspired, that I wondered if something was wrong with me. That never kept me from going though. I realized that being motivated (your word above) was a more appropriate term for me. I am always motivated to paint because I love it. I may not always be motivated to work on a particular piece, but I am always motivated about something. It could be the subject, the concept, an influence or simply the challenge. I know this is off topic with the question, but it is related. I only bring this up because I think for a beginner or young artist, this can be confusing and misleading. I’m talking about the idea of being inspired. I have had many a conversation about this and not everyone agrees with me, but the reality is that not everyone feels inspiration. Like I said before, I was confused about it early on. I thought maybe I was missing something because I was not always inspired to paint. I felt motivated and the urge to go in the studio and work, but rarely did I have some major moment that moved me to work. Inspiration means a sudden burst of higher creative brilliance. And, boy has that definition rarely, if ever, applied to me. Not knocking anyone who depends on it. I’m sure some do. Are there certain compositional rules you always adhere to? Know design and know how to draw, then do whatever you want to do as long as it works. Know the rules, and don’t be afraid to break them and push design. Place these words in order of importance: framing, composition, color, edges, drawing, values, technique, and concept. Concept, composition, drawing, values, edges, color, technique, and frame. Describe your painting process. Although I don’t have a one-way process, because I like to keep an open mind while painting, I do have a general process. I first think of or find a concept, idea or subject, and then begin to think about composing it on a picture plane. Once I have determined it is worth going forward, I begin by making compositional marks on my support, indicating placement of shapes, objects and masses. Depending on the complexity of what it is I am attempting to paint, my marks could be few and scribbly or a full-scale drawing. I then block the painting in, usually picking out three to five major shapes, and painting the overall color – mainly the hue and temperature, toning down chroma and staying in the middle on value, not getting too dark or light. This gives me a great playing field once the canvas is covered. I do not make excessive adjustments in the block-in either. With my values and chroma neutralized, I can go wherever I want or need to go with my painting, going darker or lighter, or pumping up saturation. I then go into these large shapes and work on color (hue, temperature, saturation and value), edges, atmosphere, etc… I draw intuitively throughout the process, paying attention to scale, proportion, perspective, volume, and other drawing issues, (usually) without literally drawing. I then assess and revise continually until I believe I have all the information needed to make my painting what I want. As far as detail goes, I try and hold off on the major detail until the end, although this is not always the case. Sometimes I need to put something in “prematurely”, so that I can judge the rest of the painting more accurately. But holding off on detail will usually allow you see what is needed, helping to keep it simple. In the end, it’s what you believe is the best amount of detail. Sometimes I’ll put more in than is needed just to see if it works. And if it doesn’t work, well, it’s just paint; I just scrape it out or paint it back. What colors are typically found on your palette? Although I experiment with colors often, my usual palette of late is: Titanium White, Cad Yellow Light, Cad Yellow Medium, Cad Orange, Cad Red, Alizarin Crimson, Ultramarine Blue, Viridian Green and Ivory Black. But like I said, I experiment often, adding colors I read other artists (artists I admire) use. For example I have occasionally been putting Mauve on my palette because Matt Smith recommends it. I do this with up to three or more colors at a time. I use them only when inclined to, not forcing myself to use them at all. In fact, I have to scrape them before ever touching them most of the time. But this keeps me on the look out for options and I am always open to discovering something great. 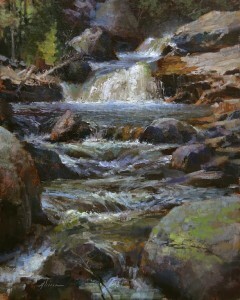 Do you believe you’ve found your “voice” as a painter, and if so, how? I don’t know. I know that I am seeing something happen with experience and time. But I don’t really know what “finding my voice” really means, and I’m not sure if I want to. I don’t know if it requires finding, because I don’t know if it could truly be lost. I think we all have a “voice,” we just get better at using it and listening to it with experience, perseverance and hard work. 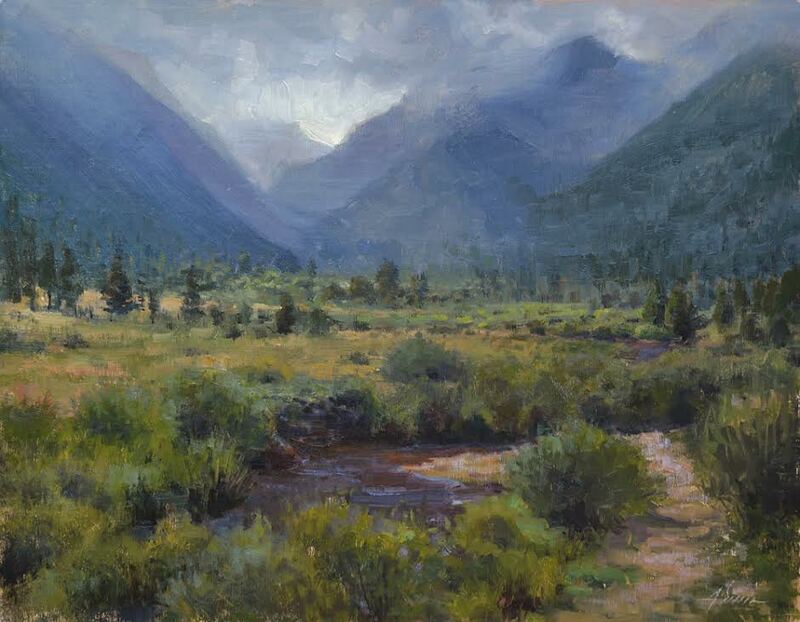 I believe to paint with honesty means being true to what you want from painting. My truth and your truth may be different, but in art/painting there can be many truths. When one speaks of “seeing” as an artist, what does that mean to you? I believe it is when we have revelations. Our “eyes” are opened to something we didn’t see before; a breakthrough from stereotype, generalization and the norm to something special. We see something that has been right in front of us the whole time, but we finally understand it or see it in a different light. It could apply to, and mean, so many things. What causes someone to be strongly attracted to a particular painting? What needs to be present in both the art and the viewer for that to happen? Man, I don’t know. Its so subjective and personal, I really do not think I can give a good answer to this one. For some, it’s all about subject matter, for others it could be color or how the shapes are orchestrated. But really, it could be something unexplainable. I guess the viewer just needs to be in front of the right painting, and probably needs an open heart or mind. If someone came to you declaring they wanted to be an artist, what would you tell them? Good Luck! No, I guess I would ask them what kind of artist they wanted to be. I would tell them to draw as much as possible, study design, go to museums and galleries, study artists (the old masters and contemporary artists) and their works, read art books, study design some more, and prepare for a tough yet gratifying path. Especially in the beginning, it can be a road full of struggle, failure, dissatisfaction, poverty (for most), rejection, etc… But it’s not all low’s…you’ll get better, see revelations and hit milestones (which is very gratifying), gain great experience (which makes persevering easier and easier), you’ll get more callused to rejection, and gain some acceptance, which will help balance the rejection. You’ll eventually begin to make money for what you do, and in the end, you will probably have some great stories. You enter a significant number of competitions each year; in 2013 alone you won over 30 awards. Other than the prize money, why enter competitions? I believe it is a good way to get your work and name out in front of the public, galleries, collectors, etc. And it is, of course, another avenue to generate income, with potential sales and prize money. If you could spend the day with any three artists past or present, whom would they be? Only three…lets see…would I get to have an interpreter with me? Well, off the top of my head right now it would probably be Isaak Levitan (because his work is incredible), then John Singer Sargent (besides being one of my favorite painters in history, I have heard he was a really nice fellow), and finally, Van Gogh (so I could give him some anti-depressants…and pick his brain). If you were stranded on an island, which three books would you want with you? I’d better take my King James Version Holy Bible, some type of survival book, and probably a Louis LAmore. Describe a typical workday. There is no typical workday really. 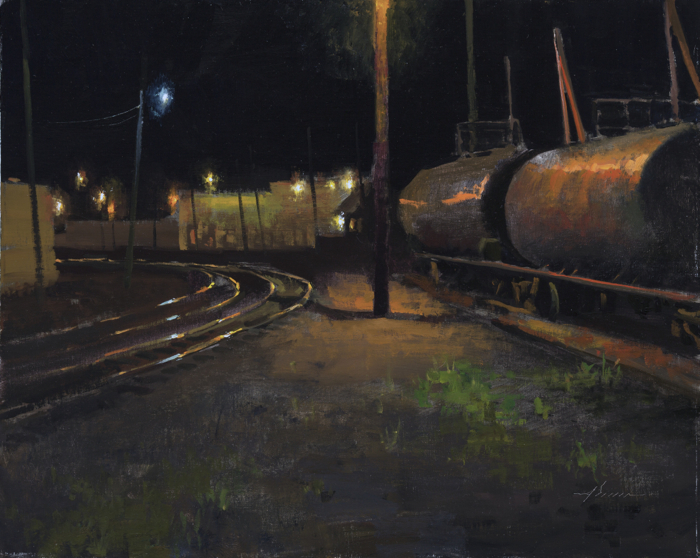 During plein air season, there’s no telling what the day is like…it all depends on if I did a nocturne the night before (or that morning in some cases). There have been times I have woke up as early as 3:00am to find a great spot to paint the moon or sunrise. One day I’m on a plane, the next day on the road and painting for a few days after that. You know how that is. During my off-season, I typically wake up and drink my first cup of coffee at the house. I then head to the studio, which is only about half a mile from my home. I then make another pot of coffee and prep for the day while it’s brewing. I then work, simultaneously doing several things. I usually have several paintings going at once, so I will continue working on selected ones, take breaks in between sessions, and frame, build boxes, box up paintings to ship, clean/reorganize the studio, and answer emails/correspondence. I leave around dinnertime, and work more on emails, work on competition/exhibition/event paper work, etc…, and try to spend some time with the family. My wife and I usually spend a little time together at night, watching a show or two before going to sleep. What are your goals for 2014? (This could also apply to 2015) Art wise – I’d like to explore doing larger outdoor works, and working on paintings for multiple sessions out of doors. I’d also love to experiment a little more and I wouldn’t mind getting back into painting figure some. And, of course I want to get better at painting. Career/business wise – I’d like to concentrate on the galleries a little more. I have some really great galleries, and I want to give them the best efforts I can afford. I think this is an important part of the career path I have chosen. Some artists do not need the galleries as they sell in their own gallery or on their own, but I do not have the time, energy or know how, and would prefer to have others/agents do this for me. They have beautiful show rooms, experience selling (and are good at it), and have an established collector base. So I want to visit them more, create more studio type pieces for them and pay more attention to what they want from me, making sure they know they are important to me. This would mean that I will need to give up some of the events and shows I am involved in, which I need to do anyway. Jason, thank you for taking the time to be interviewed and for your sincerity in which you responded to the questions. You have given a wonderful gift to the readers of this blog. Thank You.